Tom Anderson (b. Thomas Anderson November 8, 1970) is a web developer and entrepreneur based in Los Angeles, California. He is the co-founder of the social networking website, Myspace, which he started with Chris DeWolfe in 2003. Anderson later became president and strategic adviser of Myspace until he left in 2009. On Myspace, Tom was known as the default “friend” who came with each newly-created Myspace account. In September 2008, Tom Anderson had 237,991,950 “friends”. 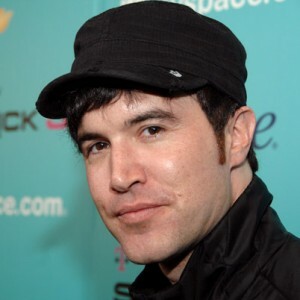 He is often referred to as “Tom from Myspace”. In 2005, Anderson sold Myspace to News Corp. for $580 million. As a teenager, Tom Anderson was a computer hacker who cracked the security of Chase Manhattan Bank. Because he was underage, Anderson was not arrested. In college, Anderson studied English and Rhetoric while attending the University of California, Berkley. He also started a music career as lead singer for the band Swank, a San Francisco rock band. At the University of California, Los Angeles, Tom Anderson earned a degree in Critical Film Studies. In 2000, while still in film school, Tom Anderson was looking to earn some extra money when he went to work as a copywriter and product tester for XDrive, a digital storage company in Los Angeles, California. It was there that he first met Chris DeWolfe who was head of sales and marketing for the company. In 2001, XDrive went bankrupt and Anderson and DeWolfe started ResponseBase, a direct marketing company, which they sold in 2002. In August 2003, Tom Anderson created the first pages of Myspace. His big motivator to forming Myspace was his reaction to highly popular competitor, Friendster and that social network’s policy of blocking accounts that did not use real names. Myspace was created to enable musicians to connect with one another more easily. Myspace had very few rules and quickly caught on with musicians and music fans. After persuading Tila Tequila to switch to Myspace, the site became one of the most popular social networking websites in the United States. During this time, Tom Anderson was in charge of product development and automatically became the first “friend” of anyone who joined MySpace. As the public face of the company, Anderson was photographed with celebrities at parties, approached by fans for autographs on the street, and flooded with e-mails from Myspace users. Tom Anderson was considered the soul of the site. In 2005, News Corp. bought Myspace for $580 million. Tom Anderson left the company in 2009. By 2010, Tom was no longer the default “friend” on Myspace, being replaced by a profile called “Today on MySpace”. Anderson is active on other social networks, having more than 200,000 Twitter followers and a high Google+ ranking in terms of followers. In the 2009 drama-comedy Funny People, Anderson attempted a cameo appearance. In May 2012, Anderson joined RocketFrog Interactive, a Los Angeles-based company that has created a Facebook app which allows users to play blackjack, poker, and numerous other games with friends, and win prizes such as theater and concert tickets, and other items from participating sponsors.